It’s Cybersecurity month, and we have great news for you. New federal law, Economic Growth, Regulatory Relief, and Consumer Protection Act, is helping all Americans take another step towards online safety. 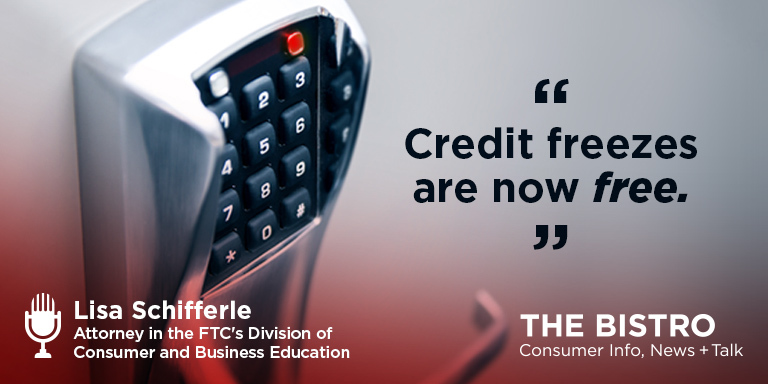 Here on The Bistro is Lisa Schifferle, Attorney in the FTC’s Division of Consumer and Business Education, providing us with an overview of how this new law leads to more cyber safety.